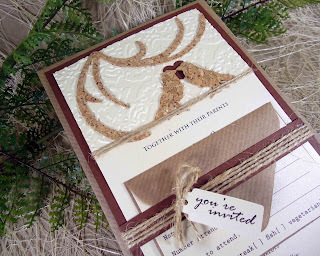 Rustic Wedding Invitations with Love Bird. Custom Invitations with Cork Love Birds and details. Unique Wedding Invitations with this 2 Cork love birds.